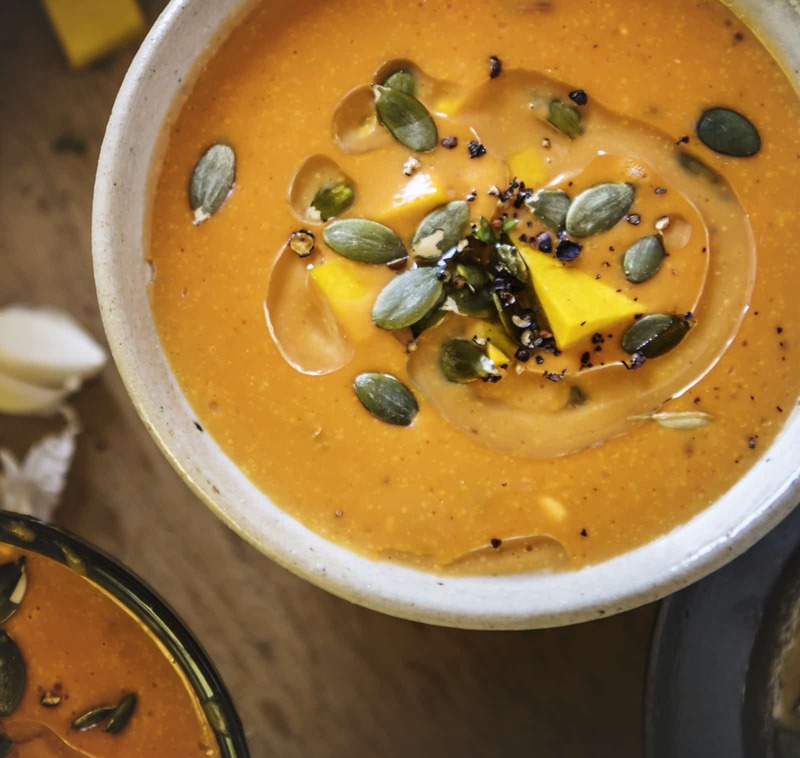 Pumpkin and squash are two hearty favorites when the season’s turn – both bring an earthy, homey flavor to delicious spicy soups. And together, they make one heck of a feel-good meal. 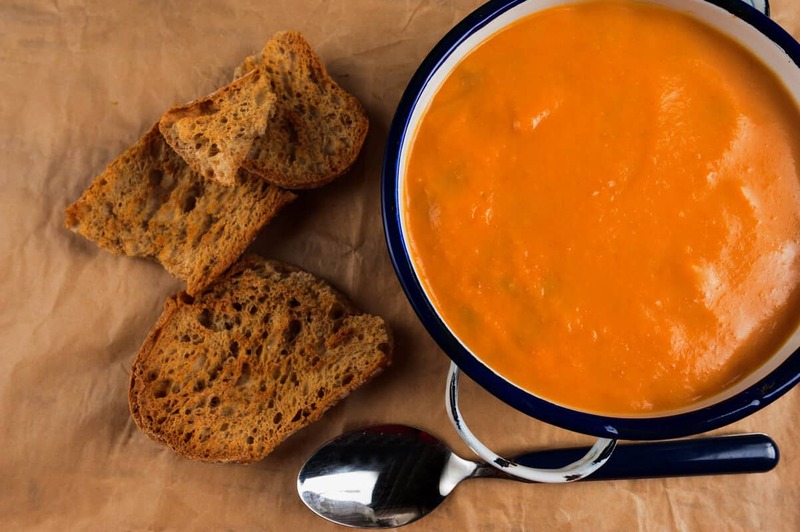 Spicy pumpkin and butternut squash soup is pretty much a meal unto itself. 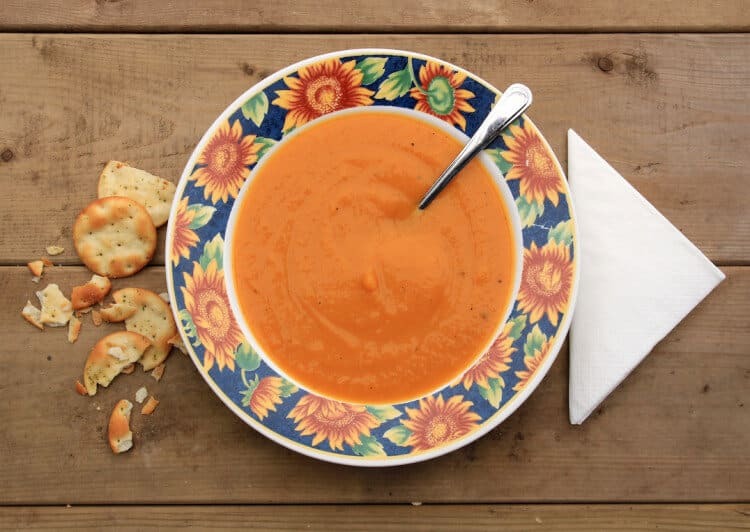 Pair it with a side of crusty bread and just enjoy the warmth this soup brings to your life. The spiciness comes from crushed red pepper, so you can control the heat easily to your liking. Cumin is a secondary spice here giving the soup an earthy warmth that works so well with fiery foods. Preheat the oven to 375 degrees Fahrenheit and line a baking pan with aluminum foil. Quarter the butternut squash and remove the seeds. Place the squash quarters onto the baking pan and put in the oven and sprinkle with salt. Roast the squash for 40 to 40 minutes. Remove the squash from the oven and allow it to rest for 4 to 5 minutes. Peel the skin off the squash, then cut the squash into cubes. 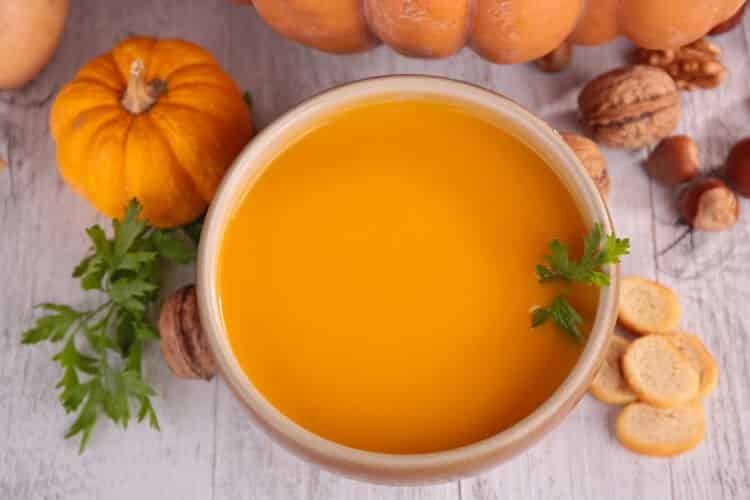 It should net approximately 3 cups of cubed squash. In a large soup pot, heat the olive oil over medium-high. Add the yellow onion and garlic. Saute until the onion is translucent (approximately 5 minutes). Add the squash and continue to saute for 2 to 3 minutes, stirring often. Add the chicken broth, pumpkin puree, nutmeg, crushed red pepper, salt, and cumin. Stir well to combine. Bring the soup to a near-boil over medium-high heat, then lower heat to medium-low and allow the soup to simmer for 15 minutes uncovered. Using an immersion blender, blend the soup smooth then add more salt and crushed red pepper to taste (and heat preference). Serve topped with roasted pumpkin seeds (optional).